Three brothers, Kenai, Sitka and Denahi, are old enough to receive their totems and their respective protective animals. Denahi receives the wolf of wisdom, Sitka receives the eagle of guidance and Kenai receives the bear of love. But Kenai is not happy with his totem, as he believes that all bears are just thieves. A few days later, the three brothers get some salmon stolen by a bear, and they chase him down to get it back. But Sitka gets hurted and Kenai and Denahi run after the bear seeking for revenge. 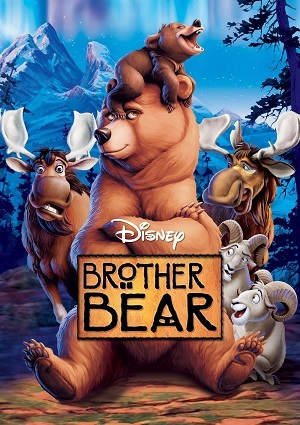 Kenai reaches the bear and he suddenly transforms into a bear, making Denahi believe the bear has hurt Kenai. He now needs to start a trip to amend his errors if Kenai wants to be human again.